Rumors have been floating around as to just when we'd get the Jimi Hendrix biopic. Some didn't think they'd drop the film this year as it would be a little competition against another iconic figure's biopic, the one for James Brown.Well, we finally know that it is in fact dropping this year... September 26th, and fans can't wait to check it out. This story is not only a legendary story about Jimi Hendrix's life, but Jimi is being played by a legend in his own right- Andre 3000. Andre's acting skills shine bright as he transforms into the rock icon, and something tells me that at some point somebody will be playing 3000 in a movie just like this one. 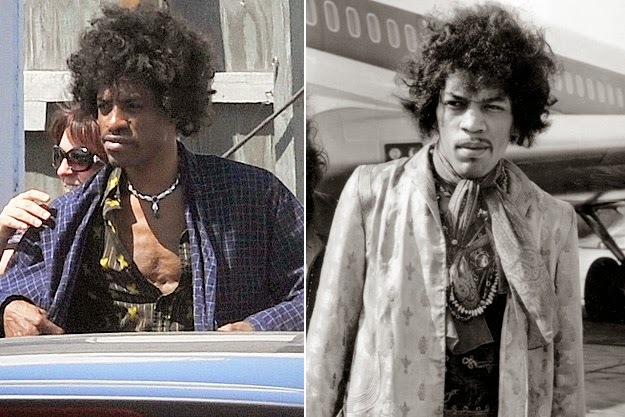 Casting Andre as Jimi makes this movie extra special to me. Jimi Hendrix is a major contributor to rock music as we know it. He came from the ashes to become a household name- synonymous with rock and roll. The film Jimi: All Is By My Side was inspired mostly by a song Jimi had written called, Send my Love to Linda. I can't wait to see this full film. From the looks of the trailer Andre 3000 is perfect for this role! See it below.